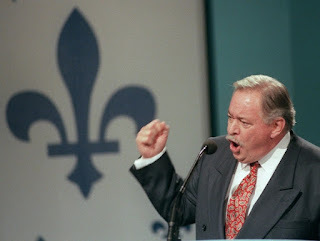 Today in 1995 PQ (Parti Québécois) leader Jacques Parizeau lost the Québec Referendum which was a vote asking the people of Quebec if they wished to separate from Canada. 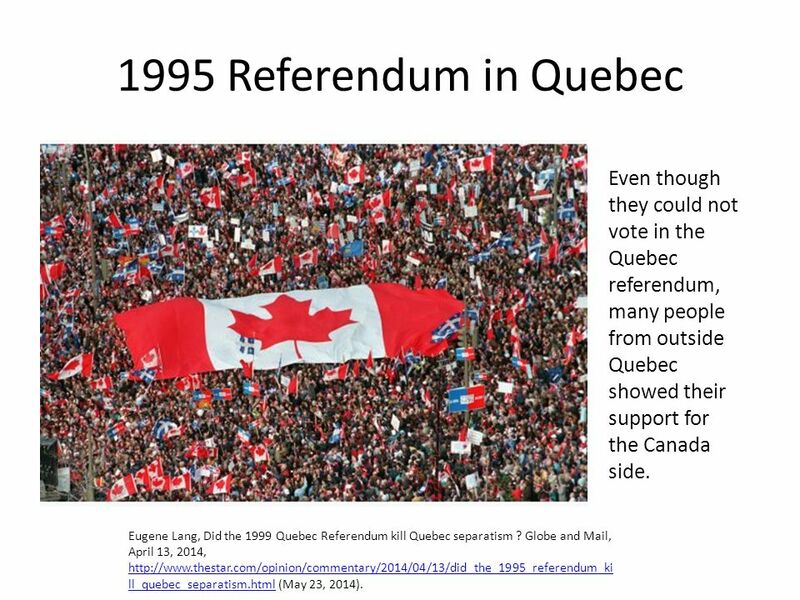 The ballot read; "Do you agree that Québec should become sovereign, after having made a formal offer to Canada for a new economic and political partnership, within the scope of the Bill respecting the future of Québec and of the agreement signed on 12 June 1995?" After months of campaigning by both separatists and what was called the "no" camp, those that wanted to remain as a province in Canada, the vote was won by just a slim 50,000 vote margin. This was after over 5 million votes were cast. Parizeau, in a televised speech later that night, stated; “We are beaten, it is true, but by what, basically? By money and ethnic votes.” He was highly criticized for his remarks about losing to money and the ethnic vote. He resigned from the party shorty after. 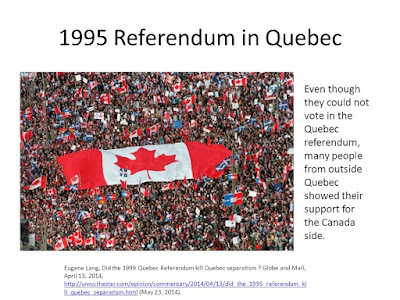 The loss was the second for the separatists in fifteen years and no other referendum has been held since.